Networking with a difference: Find out what Gedling Business Partnership can offer your business. Early morning networking events are held at the Bonington Theatre in Arnold Leisure Centre. 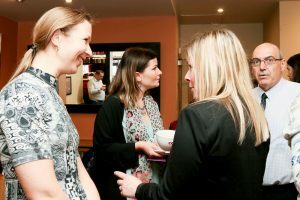 See Networking and our Events page for details of upcoming meetings. Please join our Facebook page and LinkedIn group for regular updates on events. Gedling Business Partnership was set up in 2011 with the support of Gedling Borough Council. Local businesses have now taken on the role of running GBP, with the Council providing support. Our goal is to bring prosperity to the businesses of Nottinghamshire with a particular focus on the Gedling area. Our aim is to bring businesses together and provide resources and tools to help drive business growth.